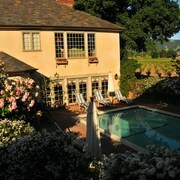 Situated in St. Helena, this hotel is 2.2 mi (3.5 km) from Merryvale Vineyards. 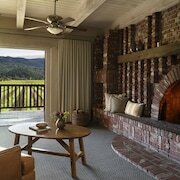 This 1,200-acre full-service resort, the largest in Napa Valley, is 4 miles from downtown Napa, and 11 miles from the Artesa Winery and Domaine Carneros. Very happy with the layout Fan in the bathroom The pool was great. Staff was great! Loved the room! Which hotels are closest to the St. Helena airport? Where to stay near top St. Helena attractions? 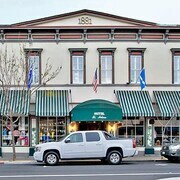 What kind of hotels are in St. Helena? Which hotel chains are in St. Helena? Couples looking to get away will find a romantic atmosphere in St. Helena, and visitors give high marks for the array of wineries and top-notch restaurants. Scenic and relaxing, this city will delight tourists with its spas, local tours, and shopping. 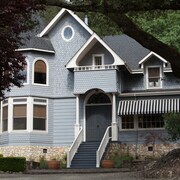 Top sights around the area include V. Sattui, Robert Mondavi Winery, and Sterling Vineyards. 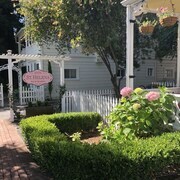 Top activities include wine tasting and taking local tours, while V. Sattui, Merryvale Vineyards, and Beringer Vineyard are favorite sights to visit. A couple of additional sights to add to your agenda are The Christopher Hill Gallery and Christopher Hill Gallery. 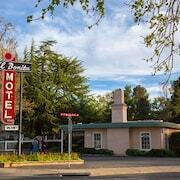 Rancho Caymus Inn - This 4.5-star inn features free breakfast, an outdoor pool, and free WiFi. 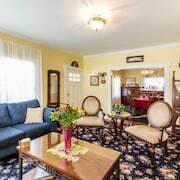 It's a favorite with Expedia travelers for its breakfast and helpful staff. 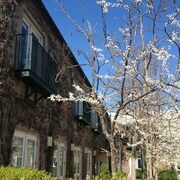 Meadowood Napa Valley - Our customers like the helpful staff at this hotel. 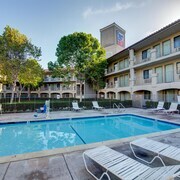 With a stay at this 5-star hotel, guests can enjoy access to 2 outdoor pools and a full-service spa, along with an in-room fireplace. 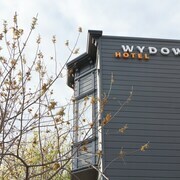 Wydown Hotel - This 2.5-star hotel features free breakfast, an outdoor pool, and free WiFi. Expedia customers like its breakfast and central location. 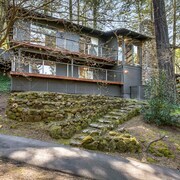 Popular places to see around the area include Robert Mondavi Winery, located 5.4 mi (8.6 from the heart of the city, and Sterling Vineyards, which is 6.1 mi (9.8 away. 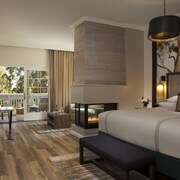 What are the most popular hotels in St. Helena? 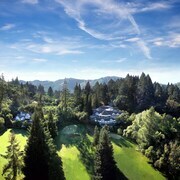 Are there hotels in cities near St. Helena? 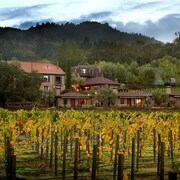 Explore St. Helena with Expedia.com.au’s Travel Guides to find the best flights, cars, holiday packages and more!